Some of the best movies directly critique the filmmaking of their day. 1950’s Sunset Blvd. is considered one of American film’s great entries, but it still may be underrated for its exploration of Hollywood’s empty vanity, via fully faded (and delusional) Silent Era starlet Norma Desmond. It’s a difficult task, to make an entertaining movie that is made by “insiders” with the attitude of a bunch of outsiders. Interstellar and Birdman, two of 2014’s best films, manage to do this in a way that avoids didacticism while still getting their point across plenty clear. Lets start with Interstellar. You can call Christopher Nolan’s latest big-budget sci-fi mind-warper many things and you wouldn’t be entirely off base: breathtaking, confusing, bloated, thought-provoking, silly, sentimental. But what you can’t call it is small, timid, or ordinary. No matter the budget, Nolan always takes a huge swing. He wants to wow you with the lofty ambition (be it from visuals, storytelling, acting, etc.) you’re witnessing on the screen. 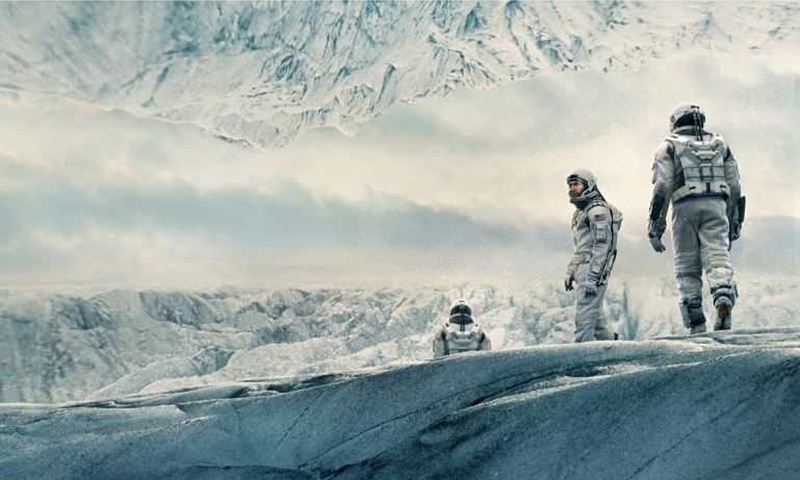 In many ways, Interstellar is a repudiation of much of today’s moviemaking. It decries unambitious, unimaginative, and mediocre Hollywood. It doesn’t feel the need to dumb down its content to reach those who would rather not think at the theater. If anything, the intricate science and plot mechanics challenge you to think too much, making it more challenging to fully drink in the wonder of Nolan’s space spectacle. At one point, Matthew McConaughey’s Cooper laments (I’m paraphrasing here) that we used to look up to the sky and wonder, and now we just worry about our place in the dirt. Nolan might as well be speaking directly to the majority of filmmakers out there. He’s an enormous proponent of presenting his work on film, instead of today’s digital, which doesn’t provide the same depth of texture and color. He’s also all about injecting his films with as much mystery, originality, and twist as possible, all without coming off as cheap or contrived. It’s obvious he wants to elevate the medium by making sure your experience is indelible every time you decide to see his work. Nolan clearly cares about the movies. 2001: A Space Odyssey is very transparently the Ferdinand Magellan of the terrain Interstellar covers. Stanley Kubrick’s 1968 sci-fi masterpiece had a profound effect on a young Nolan and you can see him doing his best to carry the torch for challenging films created with astounding vision and ambition. Kubrick’s version is more inaccessible; it’s less concerned with love and human behavior, and it’s more terrifying and impactful because of this. Both are technically astonishing. I have no idea how Kubrick pulled off what he did in the year 1968, one year before we even landed on the freaking moon (in a related tidbit, many moon-landing truthers believe Kubrick filmed the fake footage). His stunning images of deep space and spacecraft interiors hold up remarkably well. Similarly, Nolan pulls off impossibly gorgeous shots of (apparently very accurately rendered) black holes, wormholes, and strange planets. Not every filmmaker can work with the budget and carte blanche these men were afforded, but 2001 and Interstellar make grand statements that film should astound us on any scale and in any setting. Birdman answers this wonderfully. Set behind the scenes of the New York theater district, Riggan Thompson (Michael Keaton) plays a washed-up Hollywood actor who used to make millions dressing up as “Birdman” back in the day. Now he’s trying to gain credibility and validation by writing, directing, and starring in a stage adaptation of a Raymond Carver short story. Although its budget is a fraction of Interstellar‘s, Birdman takes an excitingly unique perspective by appearing to be filmed all in one long, 119-minute take. It’s not, of course, as subtle cuts signify the transition from night to day, or from one “scene” to the next. The technical and artistic wizardry to do this right is unfathomable. Mexican director Alejandro G. Iñárritu and his cinematographer Emmanuel Lubezki (probably the best in the game) deserve all the credit in the world for giving audiences a fresh look at what could’ve been an uninteresting, “talky” dramedy. It isn’t this though, because the script is almost as good as the visuals. Together these two aspects of Birdman lift the veil on the psychology behind the men who play our Iron Mans, our Spidermans, our Batmans. That last one is important, of course. Keaton himself donned the Batsuit in 1989 and 1992. In fact, Sunset Blvd‘s Norma Desmond is an excellent parallel here. She was played by Gloria Swanson, an actual Silent Era starlet who hadn’t acted regularly since the early 1930s. That movie terrified by showing the mental and emotional damage the nature of celebrity inflicts upon our movie stars by using a real life former movie star, thus blurring the lines between fiction and reality. Birdman works on doing something similar; it just takes that idea and transports it to our current age. With just about every Marvel and DC Comics character (no matter how small) getting their own blockbuster recently, Birdman scorns the glut of comic book hero movies. It reveals the triteness of it all and lambasts the shallow audiences who line up around the block just to gawk at the empty spectacle that’s been only slightly repackaged from the previous version. Now if that sounds incredibly pretentious and condescending, that’s because is – or would be, if that’s all Birdman was doing. Instead, Inarritu and Co. mock heavy, self-serious drama in the same breath. Edward Norton’s Method-acting, theater veteran Mike Shiner proclaims to be a “truth-teller” throughout the film. He’s also proved to be, time and again, a self-absorbed fraud. 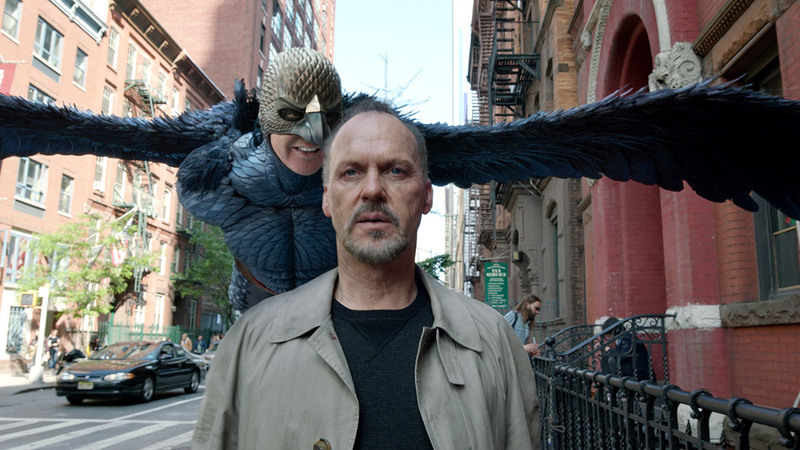 Inarritu pushes in on Riggan’s (and his alter-ego Birdman’s) psychological state as a past-his-prime Hollywood star who can’t quite find his place anymore. He’ll be considered a total sellout if he agrees to do another superhero movie, but he also can’t get past the theater gatekeepers that control who is accepted as a worthy, “serious” actor. Riggan struggles to find respect and validation anywhere he turns. There’s an existential dread there that anyone can identify with. Yet through these soul-probing thoughts, Inarritu knows he still needs to entertain his viewers. So if his constantly roving camera isn’t enough to keep your attention, he (spoiler alert, I guess) stages a magnificent action scene near the end of the film that blindsides you. It isn’t some tacked-on spectacle either, because it ties in beautifully with the themes that have been explored from the first scene. Riggan’s bipolar tendencies are ripping him apart, as his Birdman persona keeps trying to take control. Nolan and Inarritu both fully understand the need for escapism at the movies, and they both provide it aplenty. They know it’s part of why we fork over our ten bucks to sit in a dark room staring at a screen with a bunch of strangers for two hours. Or why we put on A Christmas Story every holiday, avoiding awkward conversation with our relatives. However, what’s also evident is that both these directors get that their critique of the mindless escapism can work in tandem with their use of it. Interstellar and Birdman found a way to balance this criticism and pragmatism with pleasantly diverse methods.